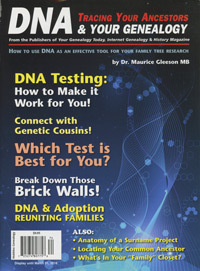 Over 3000 great genealogy guidebooks can be found on the website. Regional guidebooks for most countries, American states, and Canadian provinces are located here! 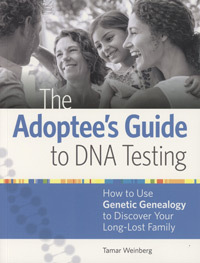 Guides on writing, and recording genealogy, photography, DNA research, genealogy dictionaries, computer use, immigration, migration, and on & on are found here! 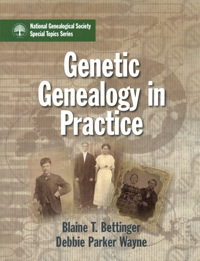 Family Roots Publishing distributes & publishes Genealogy Guidebooks. All items posted on this website are new or like new, unless otherwise stated within the description. 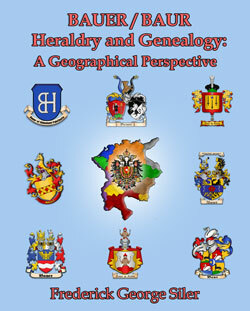 The items come from many different publishers around the world, with a good number being published by our own company. The items can be found by typing key words in the "Product Search" box found in the left-hand column. 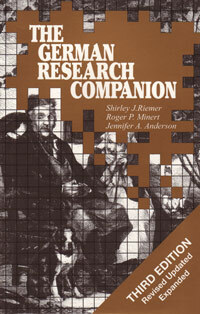 An advanced Search is available by clicking on the link. There you can search by title or item number. Doing this can dramatically speed up one's search. Note that some searches can take a while, so please be patient... You can also browse the categories. Each category is broken down into subcategories, allowing easy search of over 3500 items. Family Roots Publishing Co., LLC, PO Box 1682, 220 Bridge St. SW, Orting, WA 98360; Leland's Cell Phone: 801-949-7259; E-mail: Lmeitzler@gmail.com. 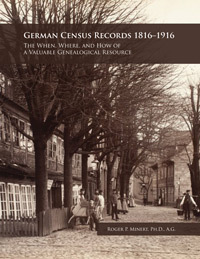 A primary FRPC focus is on the publication of the Map Guide to German Parish Registers. This series stands currently at fifty-seven and will reach Sixty-two. 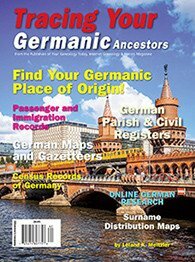 Please note that In addition to the Map Guides, we now distribute a large number of Germanic genealogy-related guides printed by other publishers, posted under the category of Foreign - Germany. Search for any word found within any item description by using the Product Search box on the upper left margin of the page. 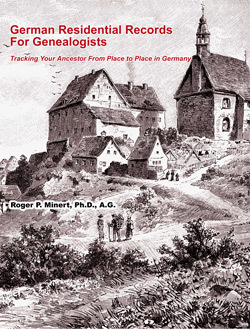 EXAMPLE: Included in the description of the German Map Guides is a list of the towns found in any particular book. Type the name of any town and the books including that name will pop up in the Search Results. Keep in mind that you need to search for German towns using the German spellings - including the umlaut (ä, ö, ü), if one was used in that word. You may also do an advanced search by clicking on the link below the Product Search Box. In the Advanced Search, You can search by any word within a Title, or search just within the Description. You can also search by Product Number using the Advanced Search. 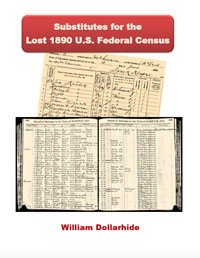 Libraries within the United States may purchase books by filling in the purchase order box at checkout. 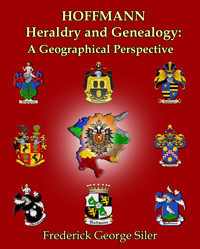 Family Roots Publishing is happy to receive library PO's for purchases of $25 or above. If a credit card is being used for the purchase, do not fill in anything in the Purchase Order box. This is for orders being shipped on net-due upon receipt terms for libraries only. At times, sales that require Internet purchase using a major credit card are offered. In this case, it will be clearly stated on the item description that credit card payment is required when placing the order. 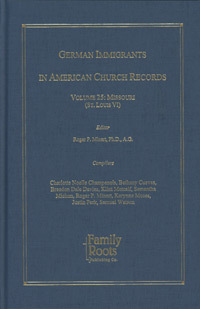 Again, Purchase Orders may only be used by qualified libraries & institutions. All other purchases require payment at the time the order is being placed. If non-qualified purchases are paid by P.O, the customer cannot expect shipment of the product by Family Roots Publishing Co., even though an automatic computer-generated order confirmation will most likely be received. We ship worldwide. All items are normally shipped within 24 to 72 hours, excluding weekends and holidays. Most shipments take place within the first business day that we receive the order. USA USPS Media Mail is used for most shipments with shipping charges at $5.50 for the first item, and $2.50 for each thereafter for most books. Flip-Pal Mobile Scanner typically ship by USPS Priority Mail with a basic fee of $8 in the USA (Costs are actually more like $14, but we pick up the extra). Laminates, most CD-ROMs, DVDs, small booklets, and other items under 12 oz. are $4 for the first item, and 50 cents for each thereafter. If an order contains a mix of an average sized books, as well as lighter items (like laminates), the shipping fee will be based on the fee for the heaviest item, then an average of the other items in the package. If multiple shipments - in more than one box - are being made, the items will shipped at the same time by the same carrier, except "drop-ship" orders (see below). Back-orders (if any) will be marked as such and shipped as soon as the item is available. Goods going outside of the U.S. ship by USPS 1st Class International mail, unless they are over 4 lbs, when they will ship by Priority International Mail. Canadian Rates are much higher than those for the USA, as there is no Media Mail into Canada. However, we have established rates for the lighter items that are much more reasonable than they were at one time. Foreign (overseas) customers please note that there are no longer any USPS surface rate options - making foreign shipping a bit more expensive than it once was - but MUCH faster. 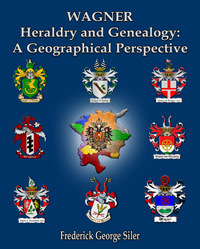 A few of the books are shipped on a "drop-ship" basis directly from the publisher, and may be delivered in a separate box from the remainder of one's order, creating a multiple shipment. Any product with a D after the number is subject to being drop-shipped, as well as any other product that may be temporarily out of stock. Drop shipped items may be delivered by UPS, USPS or FedEx, dependent upon the publisher's preference, and may take up to 4 days prior to shipment to accommodate for the additional processing and often print-on-demand publication. Your satisfaction is important to us. For this reason, all items may be returned for a full refund within 30 days of the purchase. Absolutely no refunds will be made after 30 days. Shipping fees are nonrefundable. Returned items must be obviously unused and in fully saleable condition, otherwise they may be subject to a restocking fee of up to 50%. PREVIEWING YOUR SHOPPING CART and WHY CAN'T I FINISH CHECKOUT? Customers may preview their full purchase prior to final checkout including the postage fees, by using "Preview." However, the full checkout page must be filled in first. Be careful and don't uncheck the credit card box, or you can't get to the preview page, and will be unable to complete your order. This is the most common mistake made during checkout.